Too many parents of children with special educational needs feel they have to battle the system to get what their children need, ministers admit. Early findings from a review into special needs education say parents feel the system is not on their side. Inquiry chairman Brian Lamb has said some local authorities in England are not meeting their legal obligations. Ministers accepted his concerns and announced a £38m package to raise expectations and give support. Schools Secretary Ed Balls ordered an investigation to tackle "the failure of some local authorities to comply with their SEN [special educational needs] duties". The investigation would also look at the problem of poor information given to some parents and "lack of transparency in the SEN system". In a letter to Mr Balls, Brian Lamb wrote: "A major concern for parents is the lack of transparency and lack of information about school and local authority SEN policies". And he said no-one discussed with parents what their hopes and aspirations were for their children. Mr Balls said he agreed with Mr Lamb that the government needed to "act now to improve the outcomes for children with special needs and to increase parental confidence". "Every child should have the opportunity to reach their full potential, including those with special educational needs, but all too often parents tell us they have to fight the system to get what their children need," said Mr Balls. "I am determined that this will change. I see today as the start of a new and more ambitious vision for SEN.
"I want to eradicate the presumption that mediocre achievement is the best this group of pupils can hope for." Of the £38m promised to boost SEN provision, £31m would be spent on a pilot project involving 10 local authorities. The scheme would aim to get all schools to rethink their expectations for children with SEN and develop approaches to focus more on their outcomes, he said. The remaining £7m would be used to support pupils in schools and to boost leadership. The Lamb review also said there was "a failure to consider SEN and disability issues in some mainstream policies and programmes". The chief executive of The National Autistic Society, Mark Lever, said: "We hear day in day out from families affected by autism who have to go through lengthy and stressful battles to get the education support for their children which should be theirs by right. "Too many families we work with find that they are unable to access the support and information that they are entitled to, so we particularly pleased that the department will be investigating how local authorities and schools are complying with their legal responsibilities to children with special needs and disabilities. "Autism affects one in 100 children in the UK and the right support at the right time can make the world of difference to a child's experience at school and their future outcomes." 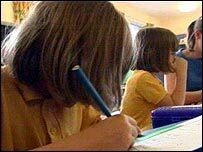 Jennifer Owen Adams, from the British Dyslexia Association, said it was encouraged by the government's response to Lamb's early findings. "Much more needs to be done to help parents and families with dyslexic children get the help their child requires. Recognition of this is just the first step," she said. "We will continue to support the work of the Lamb inquiry and look forward to the report's conclusions." The final report is due in September 2009.